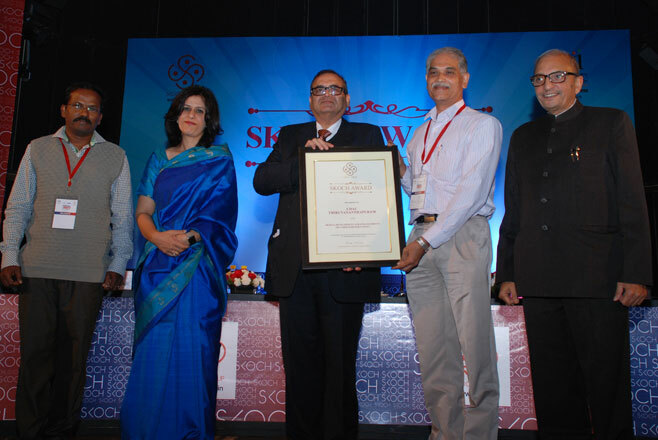 SKOCH Smart Technology Award is an initiative by SKOCH foundation towards recognising top performing Technology Users, Technology Implementers & Technology Providers across sectors, organisations and departments. It is a step towards encouraging, recognising and promoting the best applications of technologies across sectors/domains. C-DAC Hyderabad has been awarded for the project HARITA-PRIYA project (Wireless Sensor Networks based Advisory model for farmers) being implemented at Anantapur District (in association with Government of Andhra Pradesh). 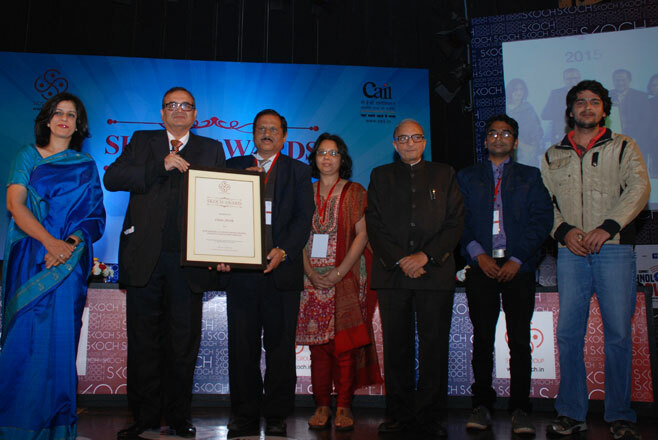 C-DAC Noida has been awarded for Tamper Evident Recorder and Player (TERP) solution that captures multiple forms of information along with the date, time, place and system information. It encapsulates the captured information-(Audio, Video, Time, Place and others) into one packet and saves a digitally signed copy of it. The information captured by TERP in this manner is tamper evident and recorded information can be played on an easily available player. This can potentially be used as a valid document for law enforcement purposes and judiciary. 3. 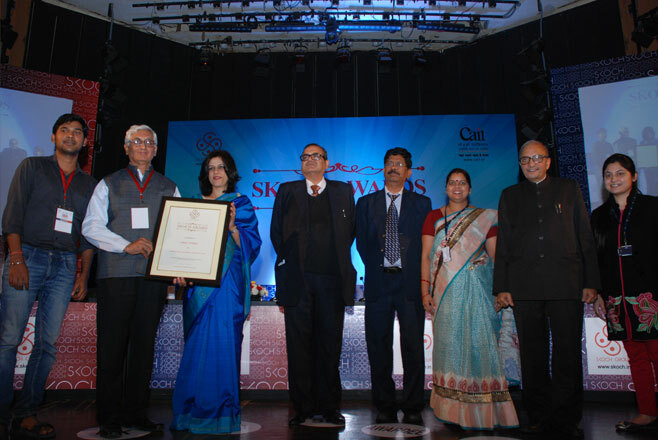 "e-Hastakshar - An On-line Digital Signing Facility (C-DAC's eSign Service)"
C-DAC Pune has been awarded for the project “e-Hastakshar: An Online Digital Signing Facility (C-DAC's e-sign Service)” pursued by teams from C-DAC Pune, C-DAC Mumbai, C-DAC Chennai and C-DAC Bangalore. C-DAC has become a Certifying Authority and has been empanelled as a e-Sign Service Provider (ESP) to offer eSign services to various Application Service Providers. 4. 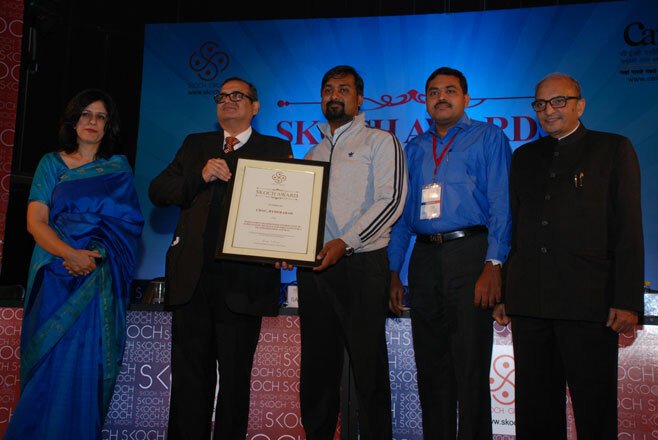 "Design, Development and Enhancement of Cyber Forensics Tools"
C-DAC Thiruvananthapuram has been awarded for the project “Design, Development and Enhancement of Cyber Forensics Tools” pursuedby Resource Centre for Cyber Forensics. Along with other Cyber Forensics tools, the smart phone forensics tool MobileCheck was mainly submitted before the jury for the award.